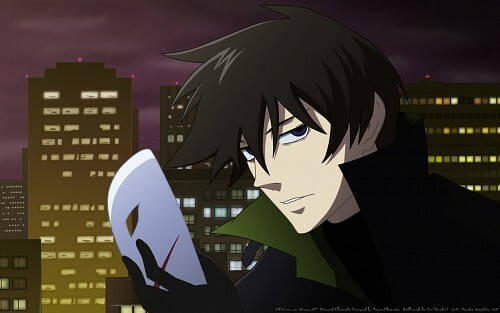 Darker than Black Wallpaper: What are you staring at? Minitokyo »	Darker than Black Wallpapers » Darker than Black Wallpaper: What are you staring at? It's a good wall but not perfect. You should repair a few little details like Hei's ear and nose (they look a bit chopped to me). Also, I know you had problems with the skyscrapers but I think you could simply make a few rectangles and didn't have to care that much about the perspective of the original scan. Now the entire wall looks kinda aslant lol. You are getting better, the vector doesn't look too blurry. would've been a nice way to show distance and depth in the wallpaper. This is absolutely amazing! I really love Hei!I Your wallpaper is awesome!